Qdoba now offers what they're calling their "spiciest menu item yet" with new Chicken Diablo Nachos. 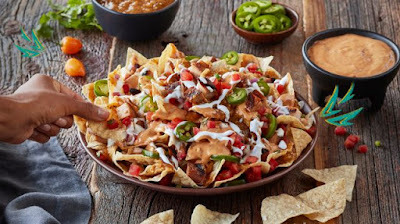 Spicy heat comes from in-house pickle jalapenos, extra-spicy habanero salsa, and Queso Diablo, which can be found sitting atop a bed of crispy tortilla chips along with grilled chicken, pico de gallo, and sour cream. It should be noted that with Qdoba's build-your-own menu set up, you may have custom-ordered something similar on your own although having it listed on the menu makes ordering it a bit easier.